Never miss a great Virgin Mobile coupon and get our best coupons every week! 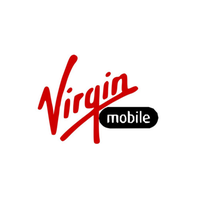 Click through to find the latest Virgin Mobile deals. Ring in the new year with a new Android phone from Virgin Mobile! Switch to Virgin Mobile and get free shipping, plus other perks like no contracts and lost phone replacement. Click to learn more! Celebrate Mother's Day with high value bargains from Virgin Mobile. Shop new advanced iPhones today. Shop Virgin Mobile today to take advantage of monumental savings! Buy Any iPhone"or Bring Your Own"and Get Your First 6 Months For $1/mo! Shop Virgin Mobile today to take advantage of fantastic deals! Save on Pre-Loved iPhones! Virgin Mobile is where you can join now using your own device! Virgin Mobile has the goods you need. Right now, save on Special Edition Red iPhone 8 Starting At $699.99! Make your money go further this spring with Virgin Mobile! Shop iphones. Free Overnight Shipping With Code! Use this Virgin Mobile coupon code to get free shipping through 12/31. Use this Virgin Mobile coupon code to get exclusive savings on the LG Tribute! Use it at VirginMobile.com and get $15 off this product! This coupon expired on 12/26/2015 CDT. Did You Miss Green Monday? It's Not Too Late! On the lookout for Green Monday deals? Then see what Virgin Mobile has to offer! This coupon expired on 12/18/2015 CDT. Discover early Cyber Monday deals and day-of discounts at Virgin Mobile! This coupon expired on 12/04/2015 CDT. See what sales are cookin' at Virgin Mobile this Thanksgiving weekend and save big while shopping online on Black Friday! This coupon expired on 11/27/2015 CDT. Get hot mobile and cellular deals with savings and free shipping for an Alcatel Onetouch Elevate from Virgin Mobile. This coupon expired on 10/19/2015 CDT. Save twice as much with a special offer from Virgin Mobile. Receive discounts for $50 off and free shipping when you purchase a HTC Desire 510. Be budget savvy with terrific savings from Virgin Mobile. Shop this limited time offer and save $20 on Lumia 635 4G LTE. This coupon expired on 10/12/2015 CDT. Get $50 Off And Free Shipping On HTC Desire 510 when you shop online today! Offer ends 10/12. Get more of the tech you love for less! Use the promotional code at checkout when you shop online with Virgin Mobile to take advantage of this offer now.